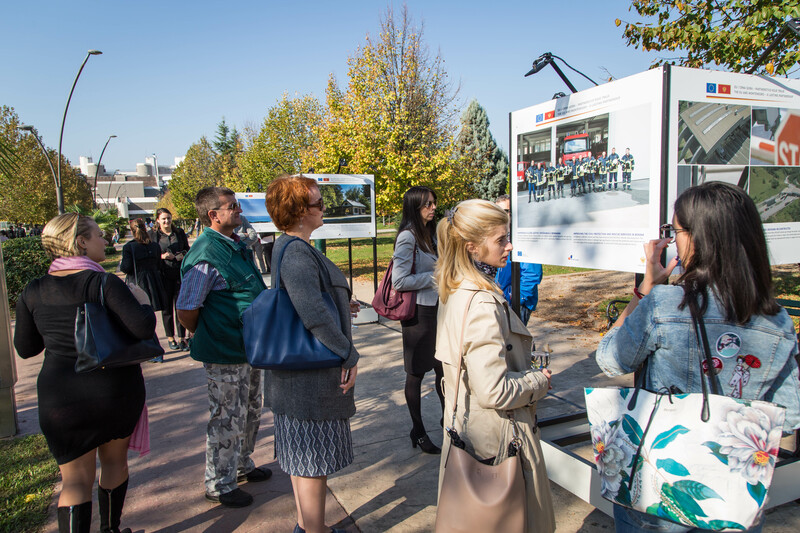 Podgorica, 9 November – The exhibition of photographs “Montenegro and the EU – A Lasting Partnership”, organised by the EU Info Centre, was opened on the plateau in front of the technical faculties in Podgorica. 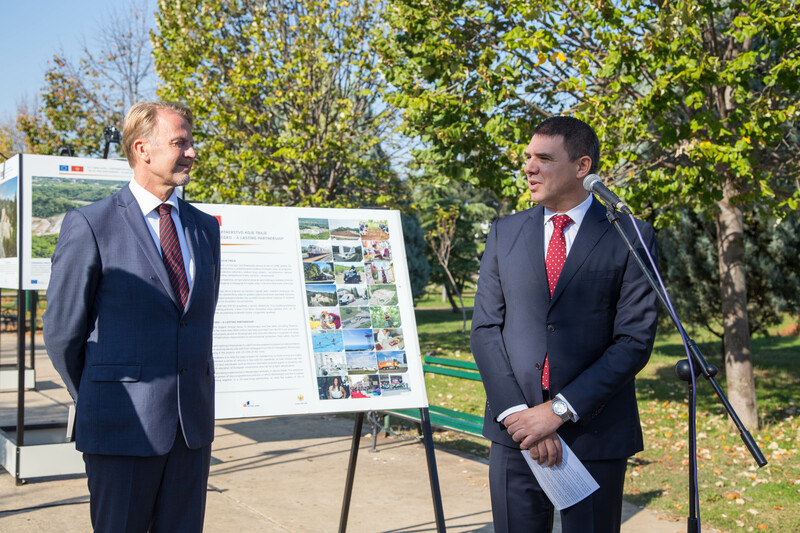 Photographs of the results of the assistance that the European Union has been continuously providing to Montenegro over the past 20 years are being exhibited there. The EU Ambassador to Montenegro, Aivo Orav, said that that the European Union is the biggest foreign donor to Montenegro and that, so far, more than €600 million has been provided to improve the hospitals, roads and schools, and to provide a cleaner environment, safer food, better education and other things. “But all too often we talk in numbers. Today, we want to let the photographs speak for themselves. This exhibition will tell you the story of Marko, Milena, Isidora, Djordjije and 700 other students, professors and other teaching staff from Montenegro who went to study or work in universities in the EU, thanks to EU scholarships. You will read about Ivana Mrdak, who used an EU grant to establish her own farm and to move from the city to the countryside. You will also meet families, refugees from the former Yugoslav wars, who after years of living in refugee camps moved into their new homes, constructed with EU support,” said Orav. He reminded that the EU Delegation and the Government of Montenegro are jointly implementing about 200 EU projects annually. 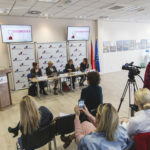 “Our ultimate goal is for citizens to feel the concrete benefits and an improvement in their daily lives, not only when Montenegro joins the EU, but already now,” concluded Orav. 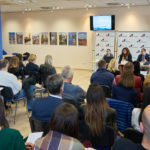 The Chief Negotiator with the EU, Aleksandar Drljevic, said that the programmes and projects using EU pre-accession funds were supporting reforms and encouraging development in a large number of areas: agriculture, tourism, industry, the historical and cultural heritage, social inclusion and many others. “Over the past 20 years, thanks to EU funds, Montenegro has transformed itself internally and the situation in many areas has significantly improved. All the projects and programmes being implemented by the Montenegrin institutions and organisations, all the good results that we have achieved over the past two decades, are products of the powerful partnership between the EU and Montenegro. A lasting partnership,” Drljevic said. He added that, by successfully using the IPA funds, Montenegro has shown that it values the EU’s non-refundable support, and that it is ready for a gradual takeover of the management of pre-accession support. “We believe that Montenegro’s success in using the EU funds will accelerate the EU accession process and contribute to its quality, and that the EU will continue to support the transformation of Montenegrin society and the committed work of our institutions towards meeting the goal that we have jointly set up, which is membership among developed European countries,” concluded Drljevic. After Podgorica, the exhibition will move to Bar, Nikšić, Danilovgrad, Berane and Cetinje.